did you try calling the dealer and ask where it is located? I mapped out and tested each fuse location noting those that came on when you unlocked the car or open the door. Found one location that worked without a fuse holder in it so it made relocation easy. Star now lights when you lock/unlock or open the door. After you close the door or lock the car the Star turns off about 40 seconds after the parking lights go off. Last edited by Rabt; 02-27-2018 at 10:18 AM. 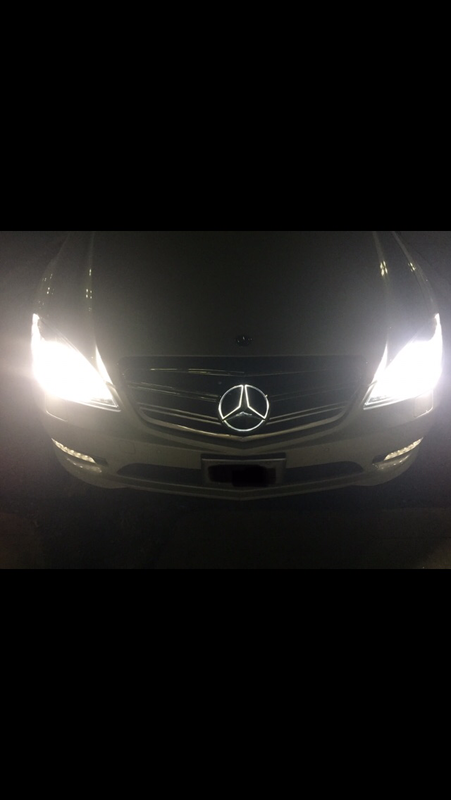 have a question, the way you did your install of illuminated star ( fuse #23 ) is the star ON when the headlights are on ? Yes......the Star is on when the Headlights are on. My grill is OEM if that helps. I installed mine just like you did (into fuse 23) and my star will come on at random times when the car is off. I will come out into my garage and it will be on. I have a feeling it does this all day and night for 15-30 seconds each time. Maybe I wasn't careful to make sure how I put the wire into the fuse slot?? I don't think I was able to get it into the LEFT SIDE. It was hard enough just to get the wire to fit in there and push the fuse back in. Could that be my issue? 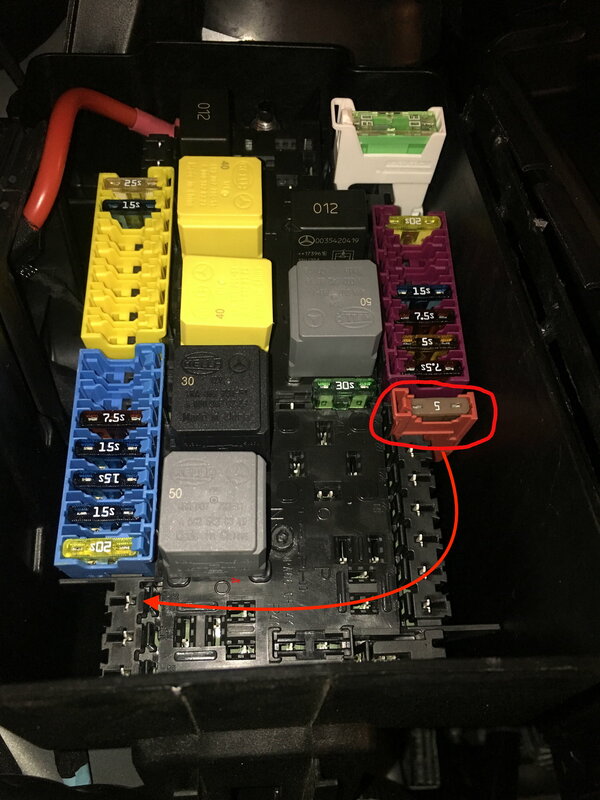 Maybe it would be better to use the device that someone posted above with the fuse that has the wire connector coming off of it to be able to connect the wire from the star to that instead of cramming it down in there with the fuse itself. Also, any thoughts on tapping into the wiring for the parking lights or the daytime running lights themselves? I don't have fog lights or I would have tapped into those. Looking forward to feedback on this. Thanks. Even though you don't have fog lights (I don't either) my guess is that the wiring loom for all models in a given year is the same. Meaning that there is likely an unused plug for the fogs (or some other unused light) somewhere. Since the star comes with a connector on the end of the wire, I wonder where it is intended to be plugged in? Whoever designed the product intended for it to be plugged into an existing wire connector somewhere in the the wire loom. Has anyone thought to write the company to ask where? Since the lighted star feature is available from MB/dealer, I assume the plug receptor is available on the loom, but unused on those cars that don't have the option installed. Where is the connector? This would eliminate the need to use a slot in the fusebox, and the need to extend the wire to the fuse box. Short of asking the obvious question of the seller, has anyone found any orphan plug recepticle in the front loom? 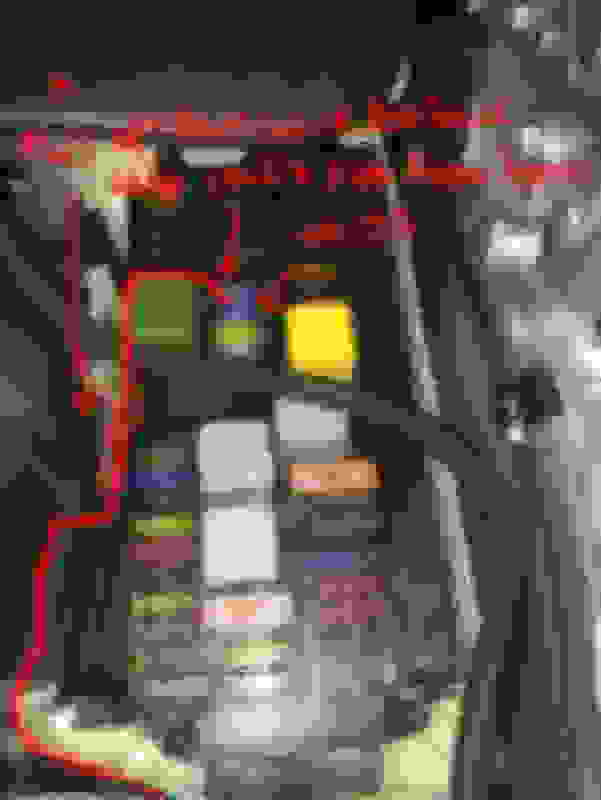 Last edited by DFWdude; 04-18-2018 at 09:04 PM. I had mine installed at the dealer and purchased the OE star, module and two harness. One for the star to the fuse panel and the other of the module inside the car. So I don't believe the cars have the star connector in the existing wire loom. I've ordered the illuminated star from the link provided near the top. Already shipped, but no commitment as to delivery date. I want to wire this to the fuse block so that it will run ONLY when the Parking lights/Low beams are on. Does slot #23 do this, or does the light burn all the time? Got Distronic? Forget about the lighted STAR! 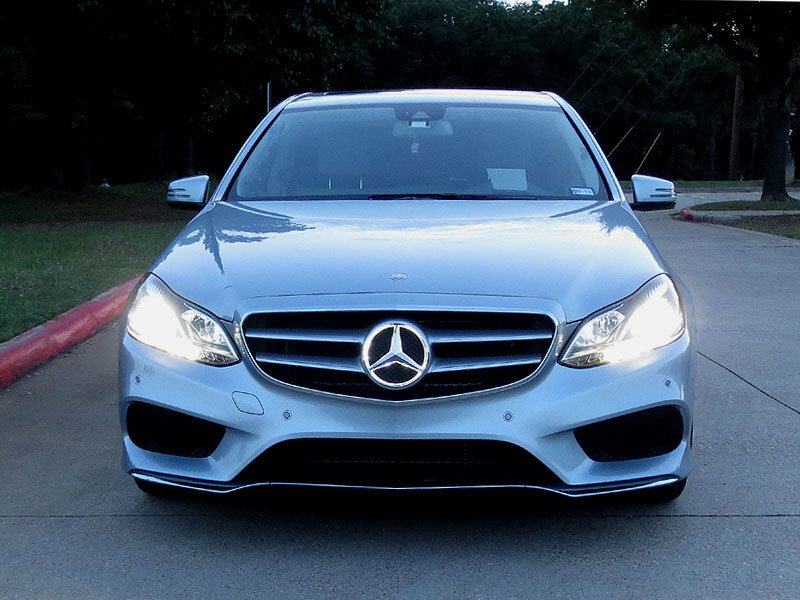 Our 2015 E350 came equipped the "DISTRONC" system and it is great. However, if you have this option, you cannot retrofit an illuminated STAR emblem! Dealer told me the same thing. Guess what, I have Distronic and I also have the illuminated star with no error messages and everything works perfect. 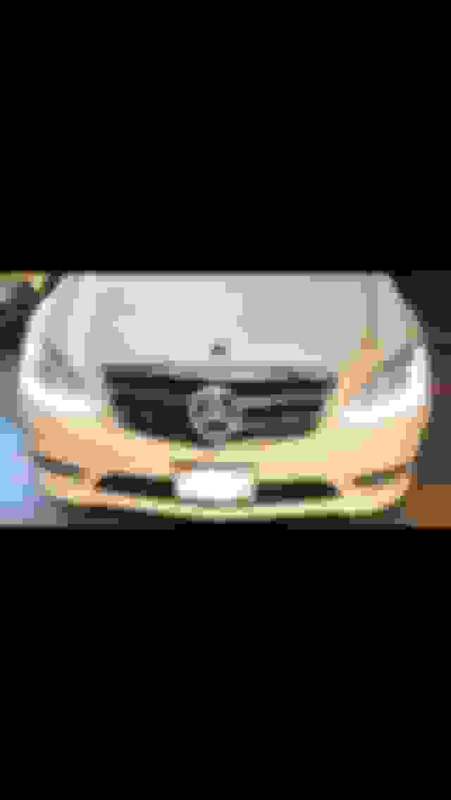 I have a 2014 E350 and has it in 23. It was on at all times (with daytime running lights on and low/high beams. You can’t see it during the day with DRLs on though. However, I found that it would come on ALOT during the day and night. I go in and out of my garage a lot and i would frequently find it on. The car has lot of electronics and it is always clicking and doing something. So fuse 23 is constantly getting energized and causing the Star to come on for a bit and then go off. This weekend I changed it to 24. I found it on at one random time but I will watch it for a while and see if it’s any better than 23.
akingzkid, have you had better luck tapping into the Parking Lights, and if so, what fuse controls them? I don't like the idea of burning the lighted star full-time, and only want it to come on at dusk or later (any situation) when the parking lights go on. 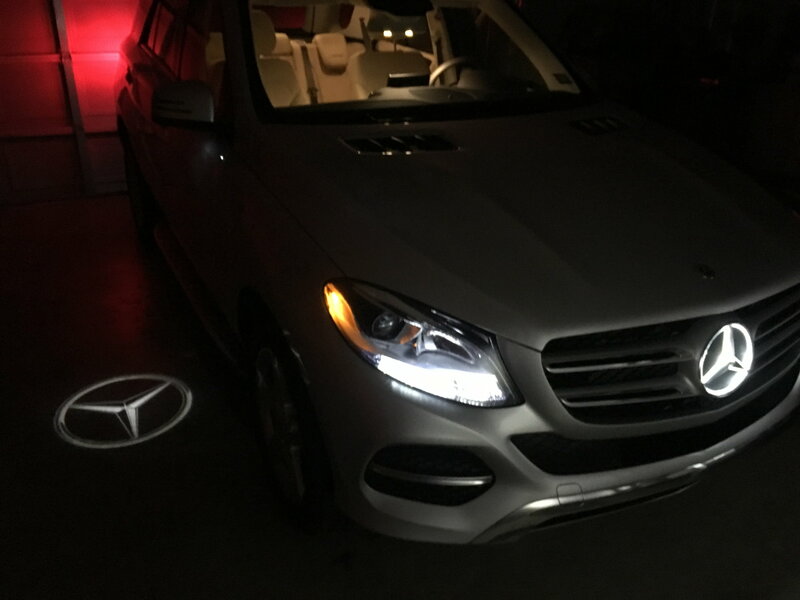 I assume the parking light option will also light the star with the other lights when locating the car via unlocking it with the key fob. That would be cool. I did not tap into the parking lights or fog light wiring. I told myself that I would search around down there looking for some wiring that I could use but I never got around to it. I did switch from fuse 24 to fuse 23. I will see if I notice any difference with it randomly lighting. I installed mine today and used Fuse slot #9. I did not have to add any wire... the wiring supplied with the star was long enough to route (completely hidden), and the fuse tap was added (inside the fusebox). Works fine when the ACC switch is on, but also runs full time. I would still like to use a fuse position for the parking lights so that it illuminates only at dusk or later. I can't determine a clear-cut slot for this in the engine fusebox ("park leicht" is not listed by that name).. Any suggestions are appreciated. 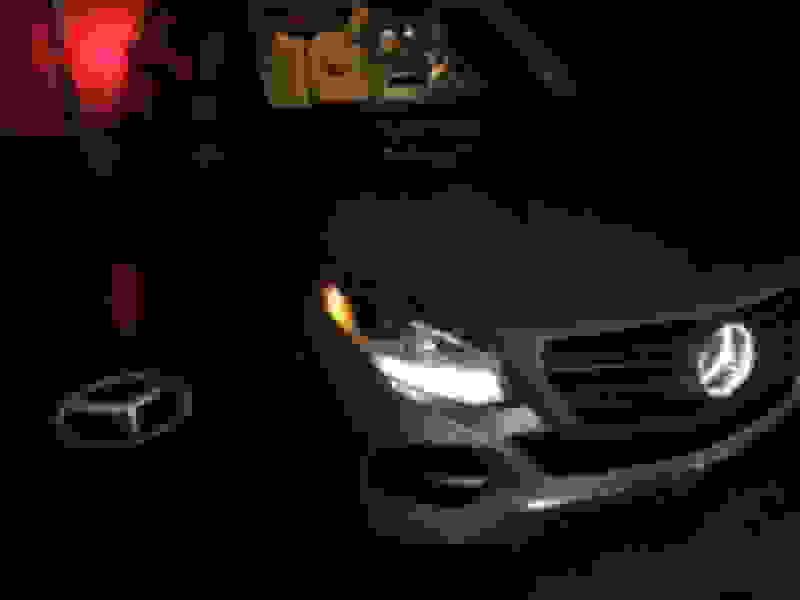 If "ambient lighting" means the door side interior lighting, and if that is tied to the outside light sensor to work only in low light conditions, then fuse slots #2 or #3 might work, as the ambience interior lighting comes on with the keyfob "unlock" function. Last edited by DFWdude; 04-30-2018 at 10:14 PM. I installed mine in both fuse 23 and now in fuse 24. Both of them cause the star to be turned on at random times. Again, this car seems to always be "awake" and the fuse box seems to always be energized. 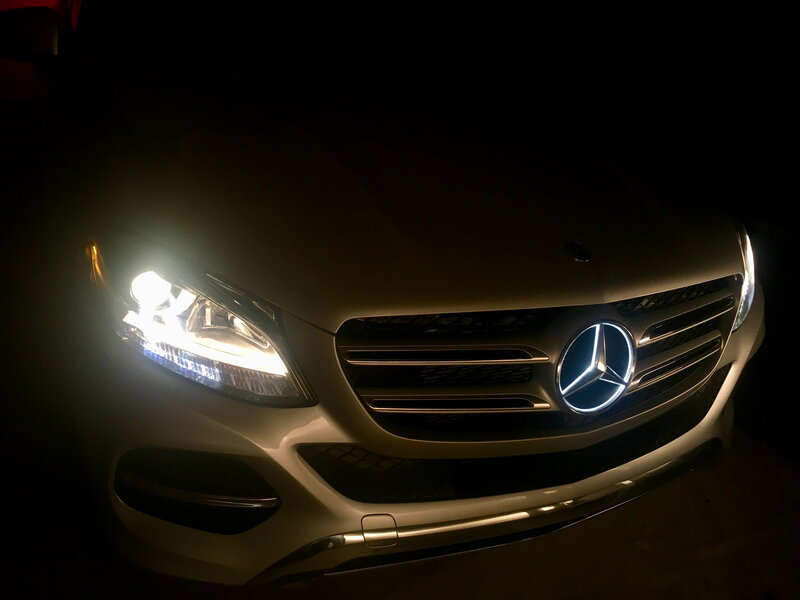 I am still frequently seeing the start lit while the car is sitting in my garage at random times. Is anyone else having this issue? I wonder if fuse 9 (as DFWdude posted) would be any better? Or maybe fuse 2 or 3 as he posted. Feedback please from those who have the star installed. Well, Fuses #2, #3, #5, #10 and #18 didn't work.... They are energized with the ignition. Fuse #9 is also energized with the ignition. But since it governs the cigarette lighter ONLY, I think of it as a Radar Detector/Cigaretter Lighter/Star fuse slot (pretty simple stuff). I can't imagine anything going wrong with slot #9. Still looking for a parking light slot or any slot that is active only with the lights. Last edited by DFWdude; 05-02-2018 at 09:59 AM. I wanted to give an update. I have tried both fuse 23 and 24 and both allow the star to randomly turn on while the car is sitting in the garage. Not sure what to do at this point. I don't care about the star being lit during daylight because you can't really see it. Also, I think it will last a long time since it is LED. I just don't want it to turn on while the car is off and in the garage. 2015 E350 Sport 2014 C63 507. Had mine installed when I had my grill installed couple of weeks ago. He tapped into the light wiring and guess what....randomly comes on when the car is off ughhh. Ughhhhh. How are we going to solve this? Has anyone had theirs installed at a dealership? If so, does the star light randomly come on when the car is off? If it does not, where did they attach the "hot" wire? Thanks. Any other issues with using fuse #9, Could you identify that fuse please? I have seen no issues with using Fuse #9. The star lights up when the ignition is on, and turns off (and stays off) when ignition is off. It's the fuse for the cigarette lighter, so it only energizes when the engine is running.